They asked for a logo but we gave them an engraving, we… just… had to! On top of that we had to use a specific color fill, burgundy, also requested for their Accent Wedding Guest Book Puzzle! There is a fairly extensive list of materials that we can now engrave and cut. 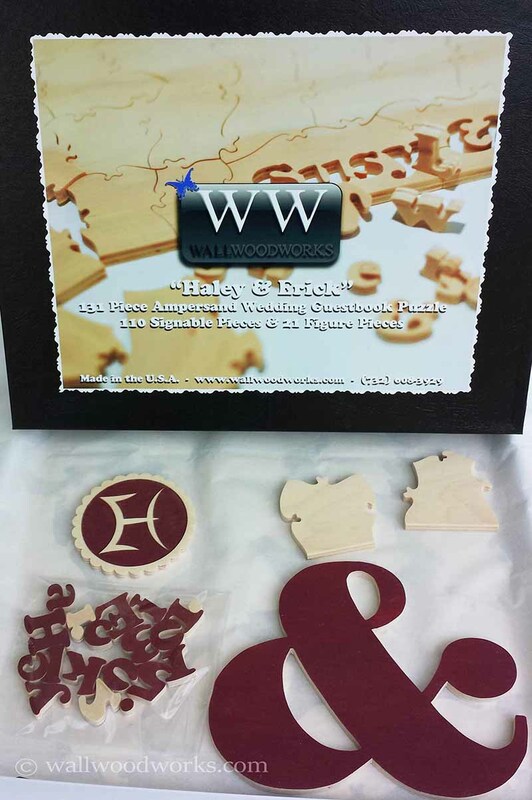 For now we will be focusing primarily on wood and engraved wedding puzzle design options to see where that takes us. Feel free to drop us an email for custom engraving quotes via the Contact page or give us a call directly.